Mandate of Heaven? More like: Gift from Heaven, if you learn how to play it. On April 6, Paradox Interactive released the tenth expansion for Europa Universalis 4 (EU4): Mandate of Heaven (MoH). 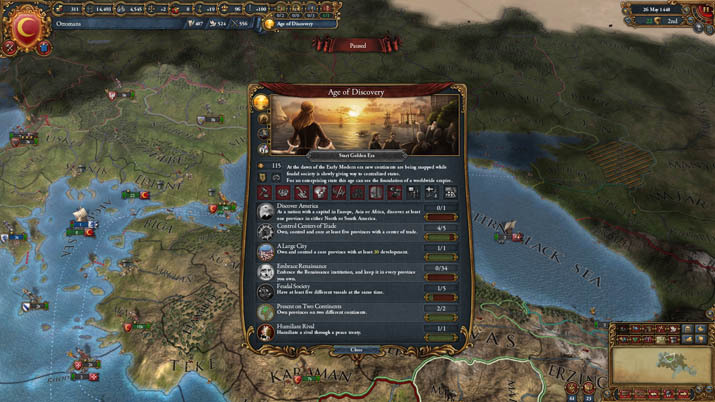 As Jake Leiper, Paradox game designer, announced in a YouTube video, the downloadable content introduces a Diplomatic Macrobuilder along with new gameplay concepts. The roughly four hundred years that the game spans are now divided into four ages. 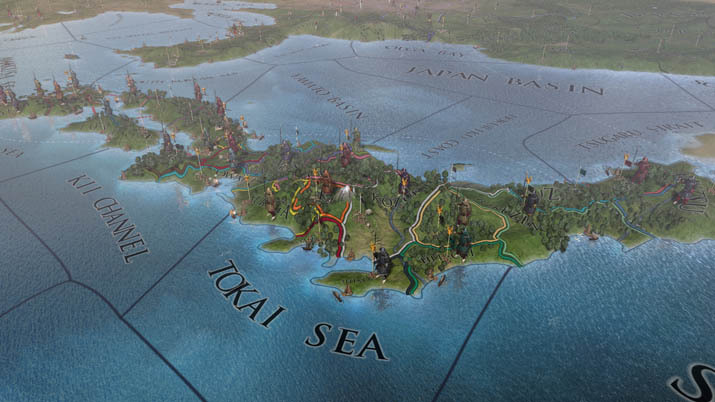 In addition, the expansion focuses on improvements for East Asian nations, for which the titles, such as Emperor of China or Shogun, received their own interfaces and actions. The developers also introduced new, powerful mercenary troops: the Manchurian Banners. These new features further deepen the gameplay, incorporating months of gamer feedback to the developers. MoH focuses on what is traditionally described as the 'Eastern' part of the world, specifically East Asia and Indonesia. While the achievement of certain objectives used to trigger the Mandate of Heaven bonus when playing as Ming, this institution is now a distinct, controllable element. A similar concept was introduced even before the first expansion for the European region. A nation incumbent to the throne of the Emperor of the Holy Roman Empire was able to influence policy on their territory through imperial reforms. With MoH, the Celestial Emperor is now able to govern his country more effectively in the same way, benefit from bonuses, and strengthen his position in the region. The factions that you used to have to consider when playing Ming -- Eunuchs, Temples, and Bureaucrats -- are no longer available. They used to add a nice challenge to your strategy, as you had to decide with which faction to side, and arrange your political decisions accordingly. Yet, the increased sense of control over your country is an apt replacement for that. Similarly, Japanese nations now have the Shogunate as a clearly defined institution with an interface. Your daimyos (similar to vassals) are dependent on you, and you can issue orders to them. However, acting as the Chinese Emperor or the Japanese Shogun still leaves your tributaries at liberty to wage war and have their own foreign relations. If you control Manchuria, the Northeastern region of the Chinese mainland, you can rely on the special mercenary troops called the "Manchu Banners." They don’t require manpower, but rather monetary resources, but their superior fighting skills make them a worthwhile investment. Although they are few in number, they might turn the tide in a battle [EN: This guy]. Apart from modifications, which apply only to certain countries, the developers implemented global changes as well. Until now, you played through all four hundred years of the game in one go. With the new expansion, a system of historical ages has been implemented (Age of Discovery, Age of Reformation, Age of Absolutism, Age of Revolutions). Within each of these ages, a player must accomplish certain objectives to usher their nation into a golden era with additional bonuses. This choice imbues the gameplay with a stronger sense of structure. Instead of going long stretches planning my own objectives, I now feel more driven toward a target. Finally, MoH has realized a feature that I've been waiting for since EU3 -- the Diplomatic Macrobuilder. To give an impression of gameplay without it: previously, you used to have to look up each of your neighboring countries and check their individual willingness to create alliances with you, permit military access, or enter into royal marriages -- a lot of clicking, checking, and remembering. With the Macrobuilder, you now have a simple interface which lists the most important diplomatic actions available, and once you select an action, your diplomats execute the task autonomously. Thank you for that, Paradox. The sheer vastness and complexity of EU4 set the title apart from other entries in the real-time strategy genre. You can play as the sovereign of any country in the world between 1444 and 1821, and you can make countless political decisions, move troops, engage in diplomatic relations, organize trade, or colonize distant lands. The learning curve is steep, but rewarding. Initially, you might be overwhelmed by the cockpit-like confusion when facing the possibilities of tweaking things in the game interface. You find yourself asking, What am I supposed to do? What is my strategy? Do I want to develop my country militarily, through trade, or through colonization? Depending on your answers to those questions, you’ll then need to figure out where you can check the boxes or move the sliders to establish the necessary policies. The ninety-two-page game manual offers ample counsel but, sometimes, even it’s not enough. Luckily, EU4 has a very vivid online community which helps with anything you are stuck on through a Wiki and forums. This support doesn’t circumvent the requirement for a beginner to be committed and tolerate frustration while learning the complicated mechanics of the game. For new players, the best approach is probably to remain aware of your primary objective. Figure out how you want to lead your country through the centuries gameplay and move on from there. If you decide that you want to expand militarily, the manual and the Wikis tell you that you have to put emphasis on military technological research and assure that you have enough manpower and money. Now, how do I go about doing all those things? As you see, one piece leads to another, and the myriad requirements actually draw you in, eating up hours of your time without you even noticing. When considering eventual downsides for the player, ultimately, the MoH expansion succumbs to the same drawbacks of the base title. While aspiring to be as realistic as possible in its game mechanics and the simulation of historical politics, EU4 as a whole might appear impenetrable to newcomers. In the beginning, many things are confusing, and you are easily overwhelmed, lost in questions, and trying to grasp concepts. It might take a couple of days to wrap your head around it, and your interest in history and strategic considerations needs to keep your enthusiasm afloat during that time. After you pass the peak of your learning curve, however, the game is incredibly rewarding as you realize that you gain the skills to handle the complex simulation of a country successfully. In line with the string of expansions since 2014, Mandate of Heaven adds further depth to the title in general and to the East Asian nations specifically. 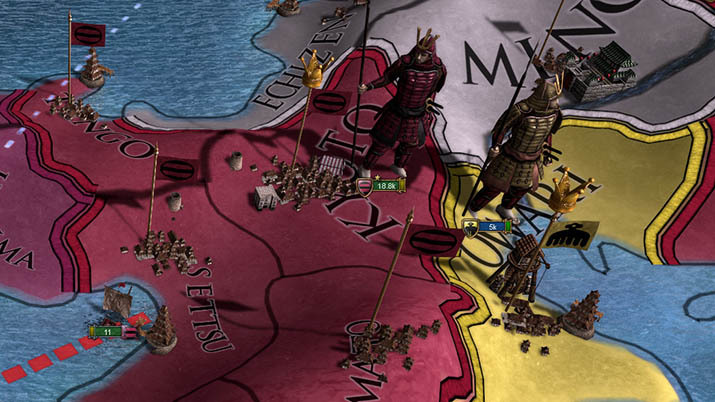 The historical ages, the institutions of the Mandate of Heaven and the Shogunate, and the Manchurian Banners help structure the experience with clear objectives for the player; the newly added Diplomatic Macrobuilder allows the player to feel more efficient when following through on strategic goals; and, once you pass the steep learning curve for the basics of the game, you enter a deep and involving gameplay.